The Rochester Regional Photonics Cluster announced the recipients of three annual awards and a special lifetime achievement award at its annual meeting on Thursday, September 5th at the Rochester Museum & Science Center. The RRPC Entrepreneurship Award was awarded to Michael Bechtold, CEO, Optipro, for demonstrating creativity, innovative spirit and drive in pursuit of the dream of creating an industry-leading company in the Optics, Photonics and Imaging Industry. Bechtold began a machine-tool business in Ontario, Wayne County in in 1982. 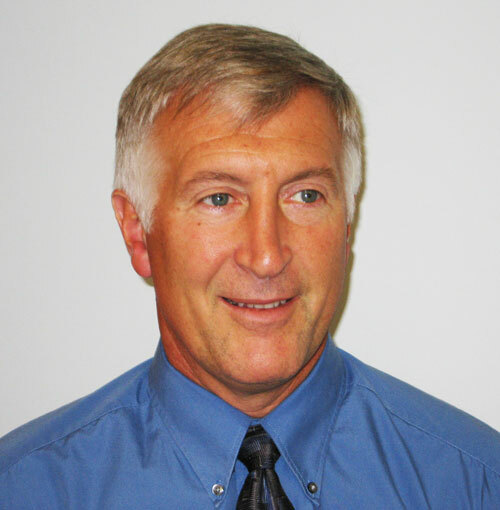 He began working with the UR Center for Optics Manufacturing in 1990, designing and manufacturing specialized deterministic optics manufacturing machine tools and metrology equipment as the company grew. Optipro now employs 65 people. The company added 20,000 square feet to their building in 2011 and is embarking on another 10,000 sq. ft. expansion. 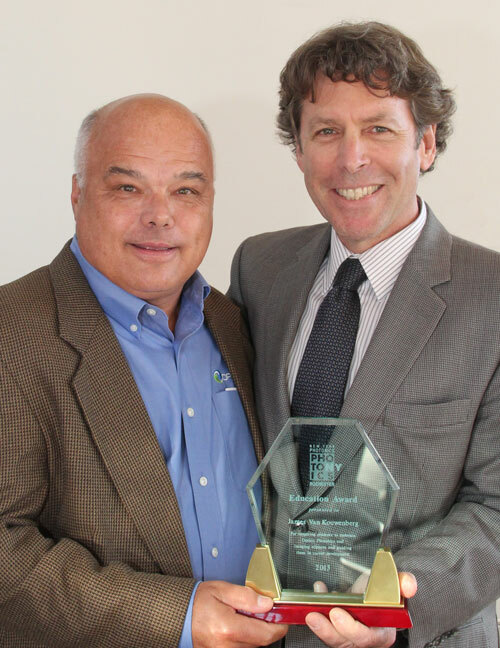 The RRPC Leadership Award was awarded to Paul Ballentine, Associate Director, Center for Emerging and Innovative Sciences, University of Rochester for working with RRPC members and the community to promote the Rochester Region’s Optics, Photonics and Imaging Industry. Ballentine moved back to Rochester from Austin, Texas in 2011 to take a leadership position at CEIS. His efforts for the OPI community included leading the team that won the Rochester Regional Optics and Photonics Jobs Accelerator grant award in 2012, convening the University of Rochester, Rochester Institute of Technology, High Technology of Rochester, Monroe Community College and RRPC in a multi-pronged effort to increase jobs in the region’s Optics and Photonics small and medium-size enterprises. The RRPC Education Award was awarded to James Van Kouwenberg, Training Coordinator and Master Optician at Optimax Systems, for inspiring students to embrace Optics, Photonics, and Imaging sciences and guiding them in career development. Van Kouwenberg, a graduate of the MCC Optical Systems Technology program has taken on numerous community optics and photonics education programs in addition to his in-house training responsibilities at Optimax Systems. These include work with regional grammar schools, middle schools and high schools; work with the RRPC Optics Summer Sizzler held annually at Monroe Community College; and work with East High School’s Optics Manufacturing program. 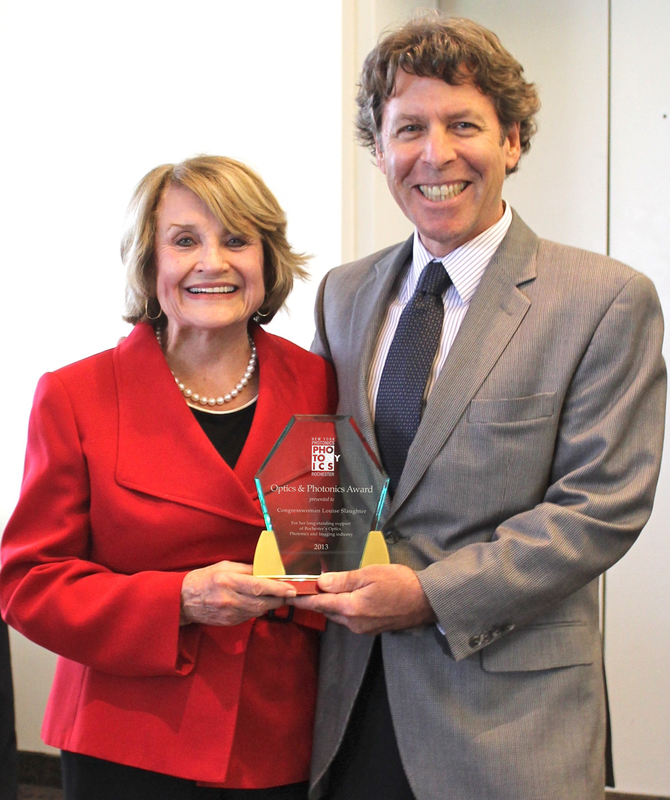 The RRPC Optics & Photonics Award was awarded to Congresswoman Louise Slaughter, Representative 25th District, NY for her long-standing support of Rochester’s Optics, Photonics and Imaging industry. Slaughter recently secured $2 million in funding for a project including Exelis Rochester, University of Rochester Laboratory for Laser Energetics (LLE) and QED Technologies. Since 2004 Slaughter has been able to secure over $682 million in funding for the LLE, located on the University of Rochester campus. Established in 1970 as a center for the investigation of the interaction of intense radiation with matter, LLE has a five-fold mission: (1) to conduct laser-fusion implosion experiments in support of the National Inertial Confinement Fusion (ICF) program; (2) to develop new laser and materials technologies; (3) to provide education in electro-optics, high-power lasers, high-energy-density physics, plasma physics, and nuclear fusion technology; (4) to conduct research and development in advanced technology related to high-energy-density physics; and (5) to operate the National Laser Users’ Facility (NLUF).